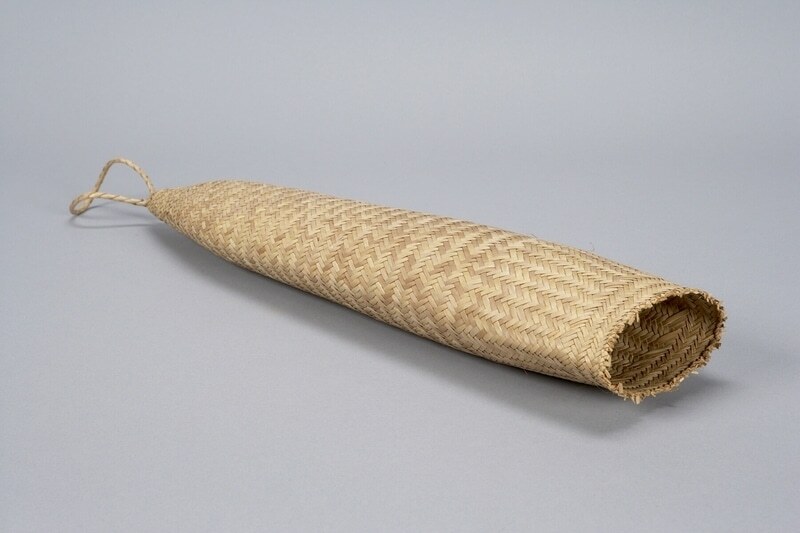 Strainer woven in natural coloured plant material in a twill weave. Elongated cone shape with loop at small end. Used as a strainer for extracting coconut milk, after the coconut meat has been grated on an "mbuzi". 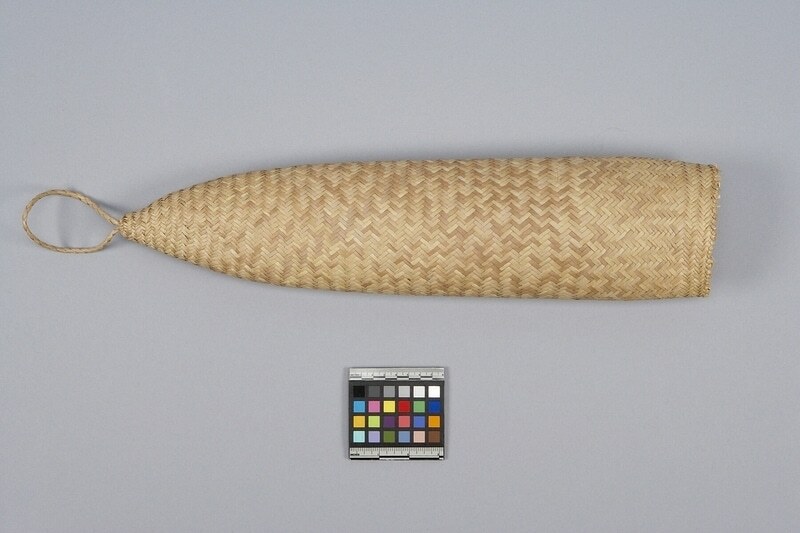 The kifumbu is a regular kitchen utensil of the Bajuni and Waswahili and Kikomoro people of the East African coast from Kenya to northern Mozambique, including the Comoro Islands. Made from coconut palm fronds. When wet, the weave allows it to be filled with grated coconut. Water is then added and the whole pouch twisted to squeeze out the coconut milk liquid and leave the grated coconut inside for other uses.